Hank the Cowdog is having a string of rotten luck. First, he accidentally gets trapped in a cattle trailer and ends up stranded in town. Then, the dogcatcher picks him up and locks him in a cage! However, fate turns around when he meets up with Dogpound Ralph. 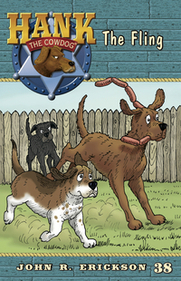 The two dogs break free and strike out on the adventure of a lifetime. Suddenly, life just couldn’t be any better. Or could it?